Response: Melatonin is produced by the pineal gland in the brain and is the body’s natural sleep ingredient. Melatonin levels normally begin to rise in the mid-to late evening and remain high for the majority of the night. Levels begin to decline towards early morning, as the body’s wake cycle is triggered. Research shows that as people age, melatonin levels can drop by as much as 70 percent and their bodies may no longer produce enough melatonin to ensure adequate sleep. This post-marketing REMfresh® Patient Reported Outcomes DURation (REMDUR) study was designed to obtain real-world evidence about patients’ sleep patterns, duration of sleep before and after REMfresh® (CRA-melatonin™), daily REMfresh® (CRA-melatonin™) use, onset of action, sleep maintenance, quality of sleep, and overall satisfaction with REMfresh® (CRA-melatonin™). Patients with sleep disturbances in the general population who received a sample of CRA-melatonin™ (REMfresh®) from their physicians were invited to complete a 12-question survey. Survey responses were received from 500 patients. Dr. Gubin: The older we get, the more likely our circadian rhythms are disrupted. For example, blood pressure, BP, not only tends to increase but as well become more irregular. One of the possible causes is an age-dependent deficit of endogenous melatonin production. We have shown that exogenous melatonin helps to ameliorate both trends – lowers blood pressure and also stabilizes and synchronizes blood pressure and heart rate variability. Could Melatonin Improve Both Sleep and Skin in Atopic Dermatitis? Taipei City Hospital Renai Br. 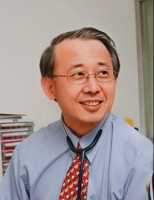 Prof. Chang: Sleep disturbance is a common disorder in the children with atopic dermatitis (AD) (reported in 47 to 60%), but no effective way of managing this problem had been established. In our preceding study, we found that lower nocturnal melatonin level was significantly associated with sleep disturbance in the patients with AD. Melatonin is a hormone secreted by the pineal gland which plays an important role in sleep regulation. In addition to sleep-inducing effects, melatonin also has anti-inflammatory and immunomodulatory properties which might be helpful for the management o fatopic dermatitis. Furthermore, melatonin has an excellent safety profile with minimal adverse effects, making it a good choice for children. Therefore, we aimed to evaluate whether melatonin is effective for improving the sleep problems and the dermatitis severity in children with atopic dermatitis. Prof. Chang: From our double-blind, placebo-controlled crossover study, we found that after melatonin treatment, the sleep onset latency shortened by 21.4 minutes compared with placebo (from a mean of 44.9 minutes to 21.6 minutes). The Scoring Atopic Dermatitis Index (higher scores representing more severe dermatitis) also decreased by 9.9 compared with placebo (from a mean of 49.1 to 40.2). No adverse events were reported throughout the study. Dr. Farez: We were intrigued by our initial observation that Multiple Sclerosis (MS) relapses have a clear seasonal occurrence with less relapses during fall and winter. We found that melatonin levels (a hormone secreted by the pineal gland in the absence of light) have an inverse correlation with Multiple Sclerosis relapses. Moreover, melatonin controls the generation of pathogenic Th17 cells, while it boosts the generation of regulatory Tr1 cells. By affecting the immune balance of those cells it may prevents the occurrence of relapse. Dr. Farez: Melatonin and drugs alike targeting its pathways may be a future alternative in Multiple Sclerosis treatment. Until a proper clinical trial is conducted, melatonin SHOULD NOT be used as Multiple Sclerosis therapy. I would like to emphasize this, because melatonin is a complex hormone with receptors present basically in every cell. We do not know yet the dosage and administration form needed to obtain similar effects as the one observed in our in vitro and animal studies. Response: We see that patients with advanced cancer often suffer from fatigue, pain, depression, insomnia and other symptoms, which can have a profound impact on quality of life. Melatonin is a neurohormone and its secretion is closely tied to the circadian rhythm making it a regulator of the sleep-cycle. Studies have shown that cancer patients have lower levels of melatonin than healthy controls, which may contribute to their fatigue and lowered quality of life. Furthermore, previous studies have found a possible effect of melatonin in cancer therapy, and non-clinical trials have shown melatonin to inhibit cell division in tumors. To our knowledge, no trials to date have investigated the effects of melatonin on fatigue. Given the role of melatonin in the sleep cycle, the lowered levels of melatonin noted among cancer patients, and results from previous studies, we wanted to investigate melatonin’s effect on fatigue among patients with advanced cancer. The primary objective of our study was to determine whether oral melatonin administered at night would reduce physical fatigue in patients with advanced cancer who were being treated in a palliative care facility. The effect of melatonin on other cancer-related symptoms including mental fatigue, insomnia, pain, emotional function, loss of appetite, and overall QoL were also investigated. In this trial we tested a dose of 20 mg of melatonin taken orally at night. However, melatonin did not improve physical fatigue in patients with advanced cancer. Furthermore, we were unable to identify improvements in any other cancer-related symptoms. Dr. McMullan: In this observational study performed in non-diabetic women we found that lower nocturnal melatonin secretion predicted future risk of developing type 2 diabetes. When we categorized the individuals by category of nocturnal melatonin secretion we found that those in the lowest category had twice the risk as those in the highest category of nocturnal melatonin secretion. This association remained even after adjusting for other well established risk factors for development of diabetes including body mass index, physical activity, dietary factors, family history of diabetes, smoking and hypertension. This increased risk translates into the lower melatonin secretion group having an additional 5 cases of incident diabetes per 1000 person years than the high melatonin secretion group.